Bathroom & Kitchen Remodeling | Carroll Plumbing & Heating Inc. This is the most often overlooked component to creating your dream bathroom or kitchen. In the most most effective solution to the problem you would simply keep your fixtures where they are because this reduces labor costs for a remodel. However, there is certainly the ability to change where you have your sink, shower, or dishwasher placed when doing a remodel. For this step in the process it’s important to think about your budget vs. your dream. Can you afford the extra labor and time in moving your sink to the other side of the room or will that cause you to miss out on the granite countertops you really want? 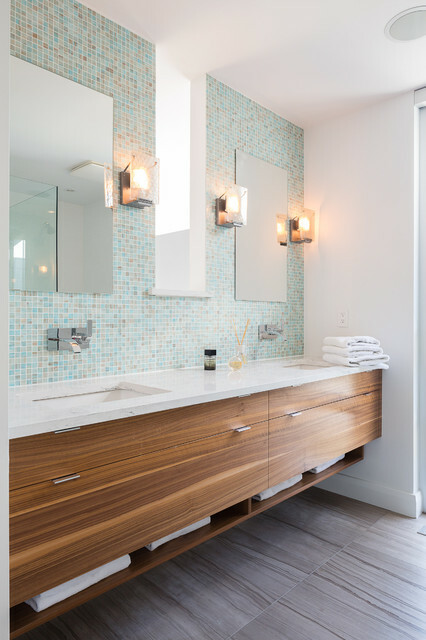 Are Hidden Fixtures in Your Remodeled Bathroom Game Plan? There is a surprising amount of people who have no idea what a hidden fixture even is (see our photo to the right)! Hidden fixtures are just that: hidden. Knobs to change temperature or turn water off and on can make a kitchen or bathroom incredibly modern and chic when they’re seemingly nowhere to be found, but especially in the Richmond area, when it comes to plumbing most people opt for a more rustic feel letting those fixtures help speak to the character of the room. Either one of these applications can turn a room from ordinary to beautiful so it’s mostly up to the owners as to which they prefer for their plumbing installation. A hidden advantage to remodeling your bathroom is taking a small nuisances are being able to correct them while making a beautiful new space. One of the most prevalent of these is widening the size of your drains which prevents have to schedule drain cleaning and the Richmond area is full of small drains that are often clogged due to the age of the houses. Perhaps you want to take the opportunity to choose a wider, less prone to clogging drain size, when you’re picking out new equipment for you bathroom or kitchen remodel. Add Those Bathroom and Kitchen Amenities While You Can! Up until now this blog has been very practical about pitfalls you may run into in a bathroom or kitchen remodel and being proactive about them. Now it’s time to show you something downright fun: heated floors in your bathroom. The Richmond area gets cold during the winter and if you really hate that fresh out of the shower freeze we all seem to get then add heated floors to your remodel! A heated floor works by running heated water in small tubes underneath the tile in your floor resulting in radiant heating! 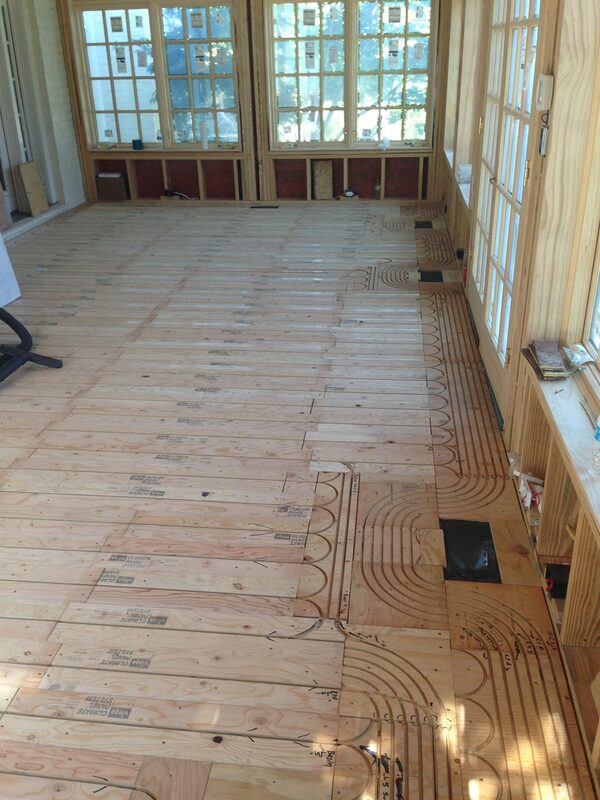 Check out a recent heated flooring install we did in the Richmond area to get a better look at what it takes to feel cozy when it’s cold. Carroll Can Install Your Plumbing in a Kitchen or Bathroom Remodel! If it’s time for your Richmond bathroom or kitchen, give us a call or email today and let’s talk about your remodeling needs!